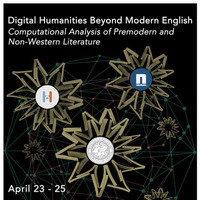 This keynote panel will address the possibilities for cross-cultural and diachronic literary research opened up by the creation of new computational tools and methods. The panel will take the form of brief, informal presentations outlining the panelists’ views of the prospects for a digital “World Literature,” followed by an open Q&A. All of the panelists are leaders of major digital humanities projects that range across historical periods, diverse languages and cultures, and new methodologies.